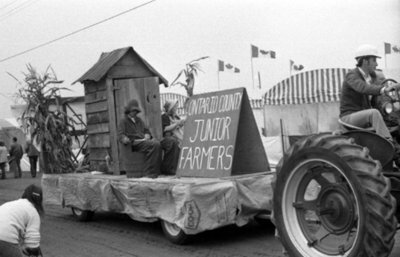 A black and white photograph showing a tractor pulling a float for the Ontario County Junior Farmers through tent city during the parade at the World Plowing Match on September 26, 1975. World Plowing Match, 1975, Brian Winter. Whitby Archives A2013_004_408D.